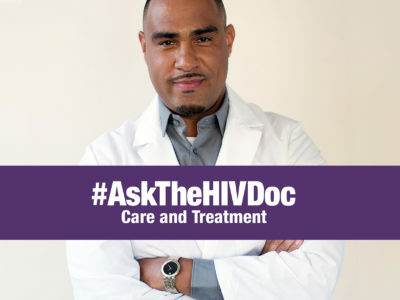 News#AskTheHIVDoc: All About Care & Treatment! Dr. David Malebranche, MD, MPH – aka “Dr. David” – is back with more than 40 new #AskTheHIVDoc videos about HIV care and treatment. In this latest one-minute, FAQ-style video series, Dr. David covers the basics of HIV treatment – why it matters, how it works, when to start – as well as answers questions about getting into care and finding support. He explains terms, such as CD4 and T-Cell, viral load and HIV undetectable, in his signature easy-to-understand, yet information-packed manner. The videos are designed to help individuals living with HIV, as well as loved ones, navigate the process from receiving a diagnosis to getting connected to care to keeping up with treatment. In addition to keeping people with HIV healthy, antiretrovirals (ARVs), the medications used to treat HIV, also prevent the spread of the virus to others. People living with HIV who take their ARVs every day as prescribed and maintain a suppressed viral load have effectively no risk of transmitting HIV to their HIV-negative sexual partners. #AskTheHIVDoc, an ongoing digital series from Greater Than AIDS, empowers viewers to be informed and get the care and support they need to be healthy, regardless of HIV status. 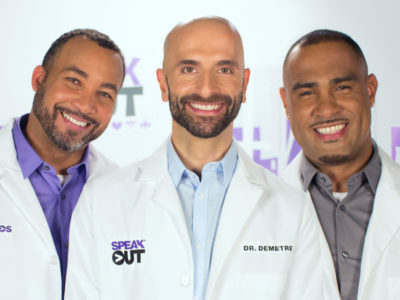 Dr. Demetre Daskalakis, Dr. Charlene Flash, and Dr. Leandro Mena also appear in the series, covering all aspects of HIV from prevention (including PrEP) to treatment and care, as well as the basics. Additional information resources, including FAQs about HIV treatment and service locators for HIV care centers, including Ryan White/ADAP providers, are available at: treat.greaterthan.org. #AskTheHIVDoc en Facebook en vivo con Univision!